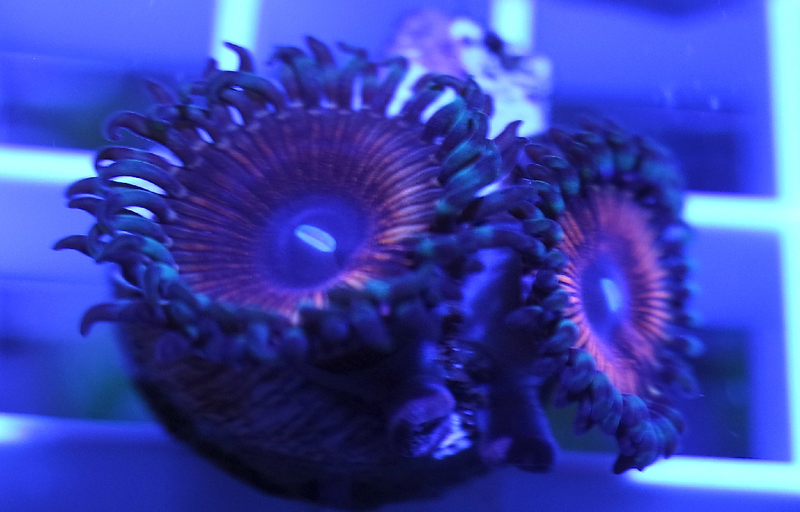 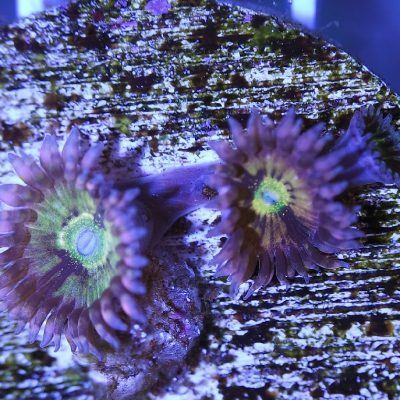 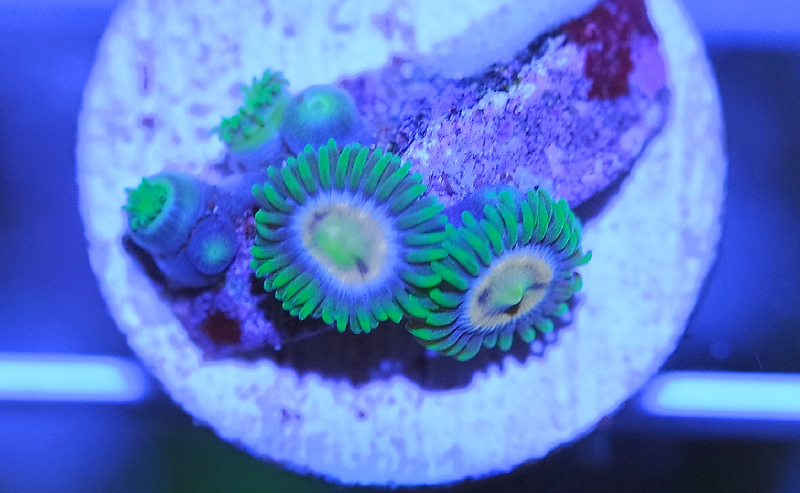 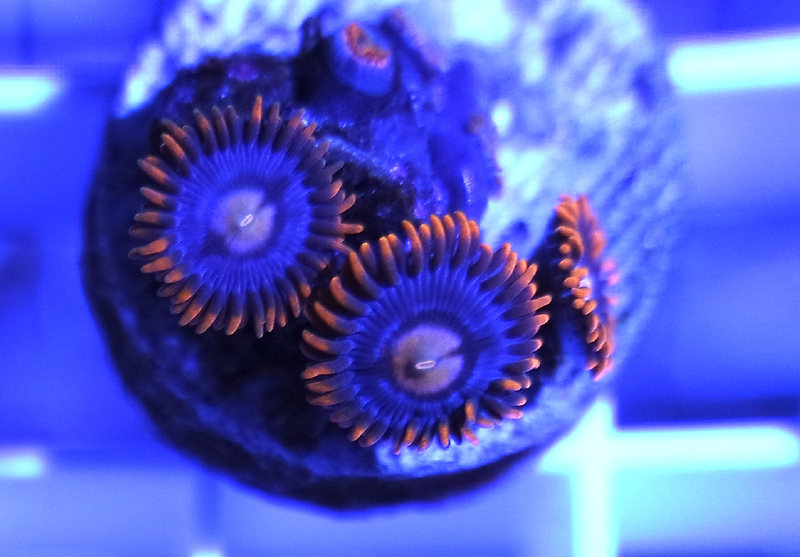 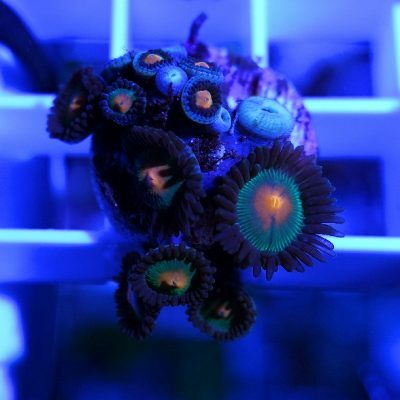 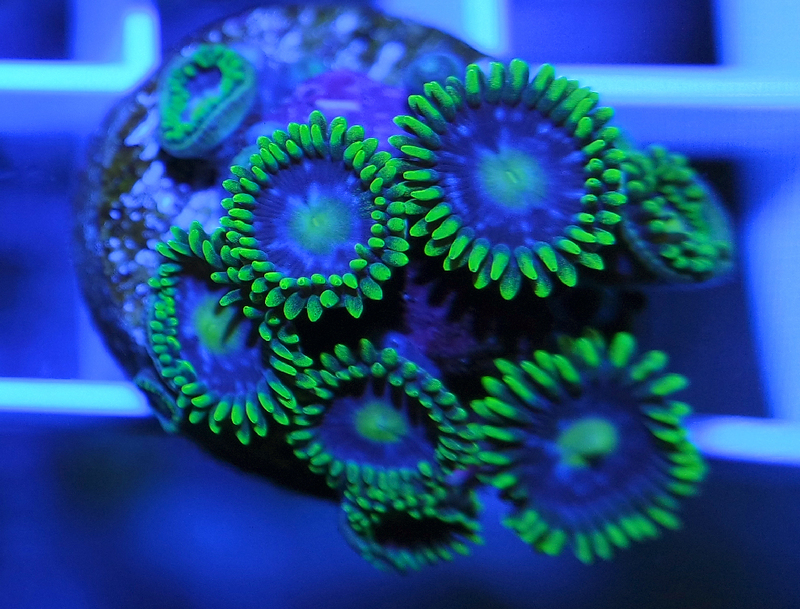 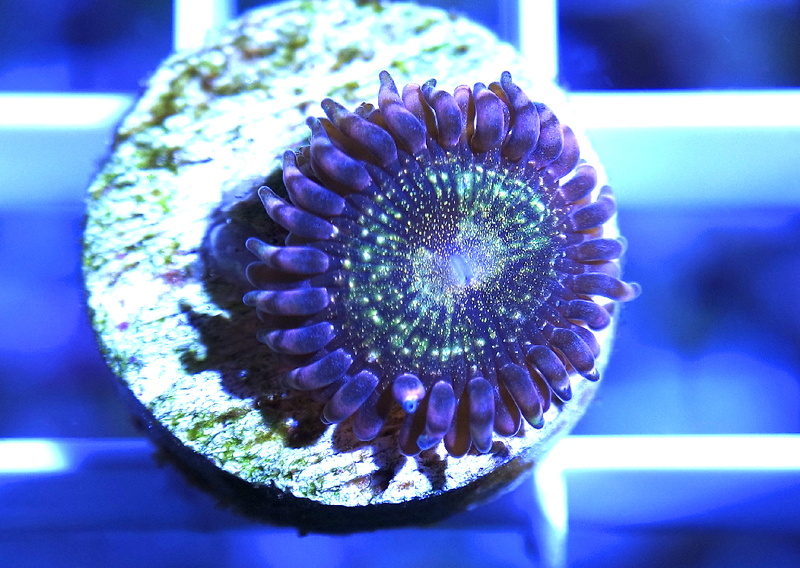 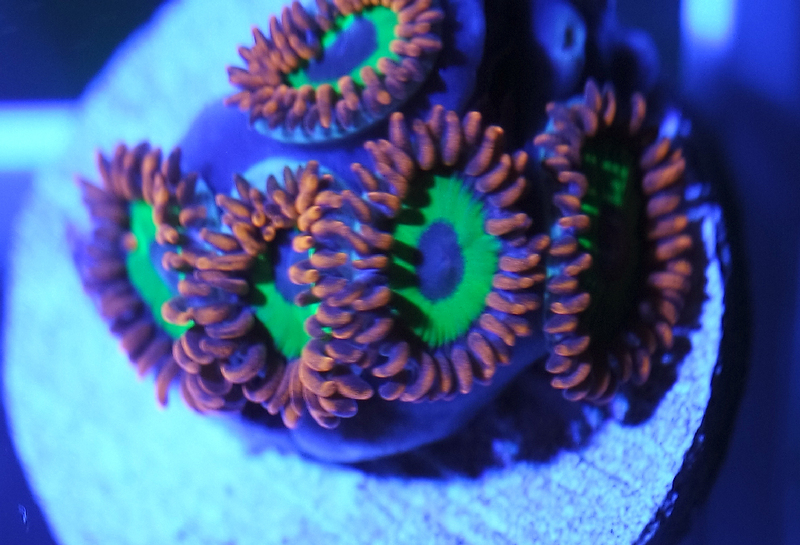 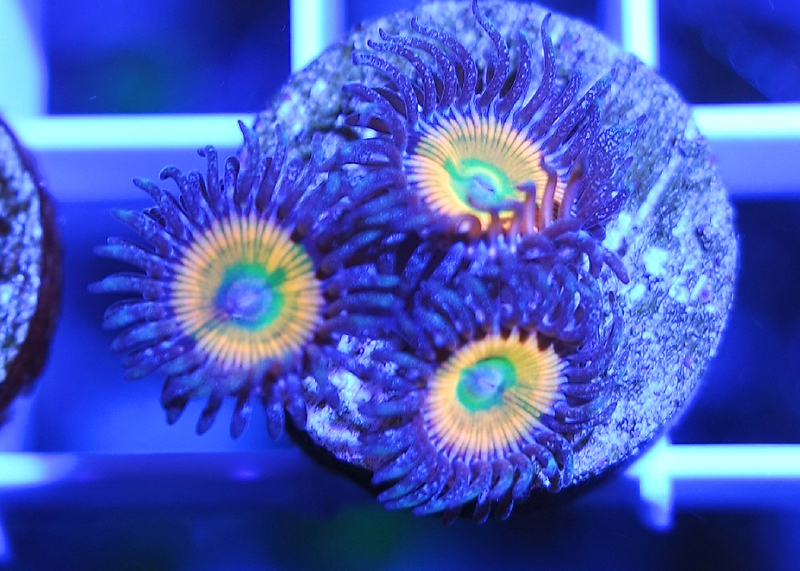 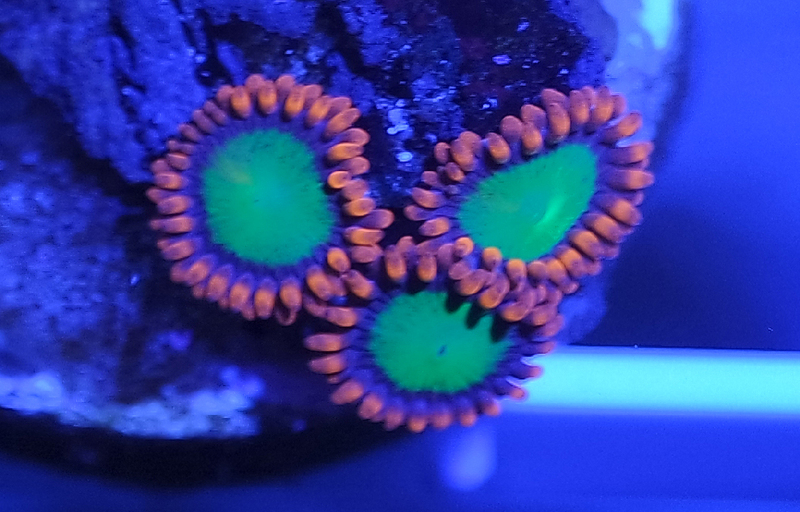 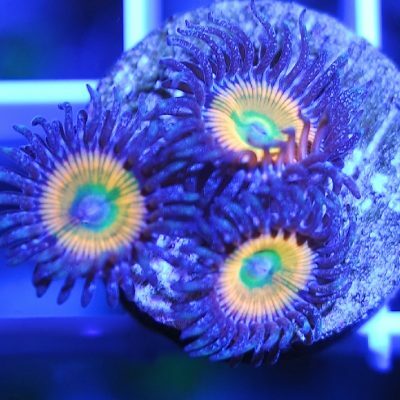 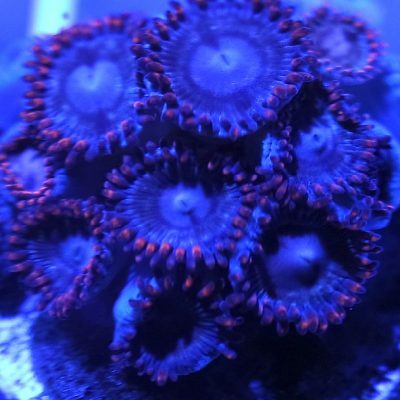 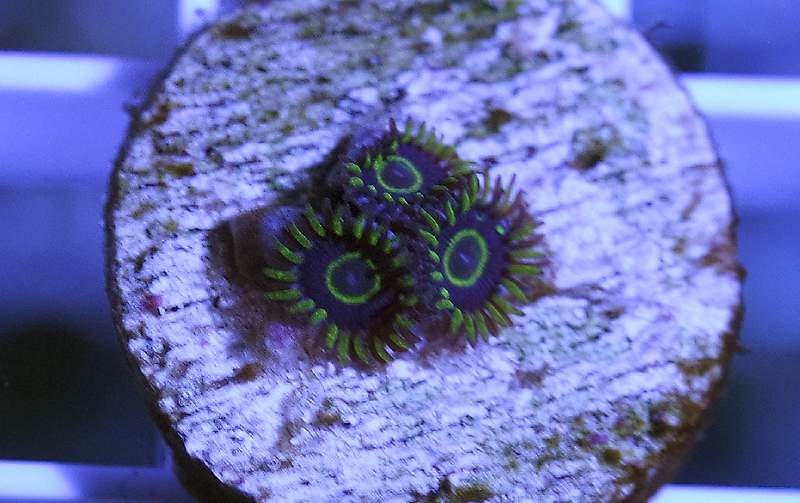 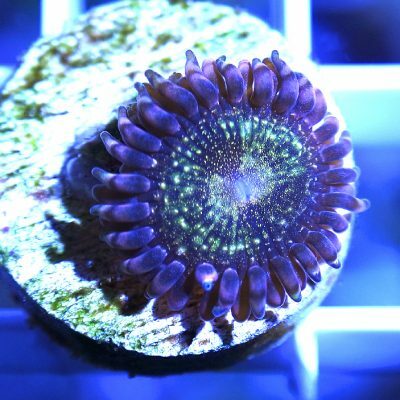 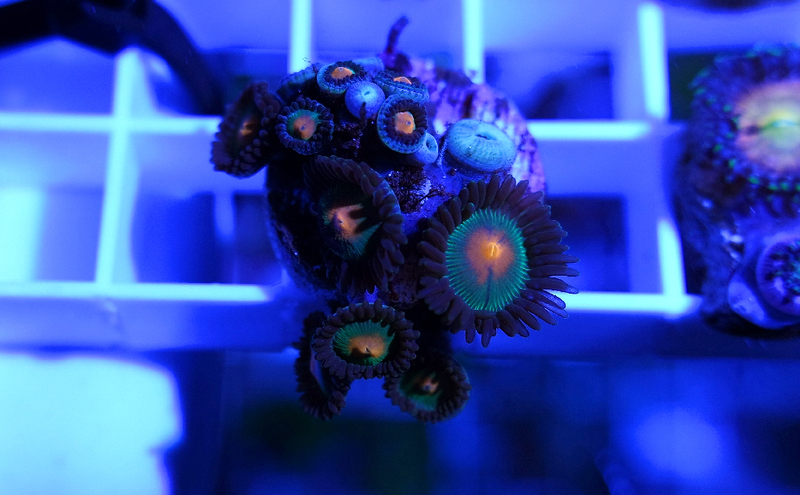 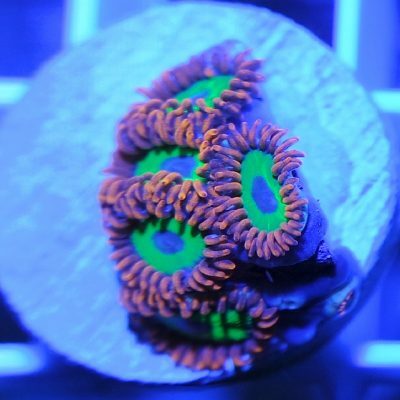 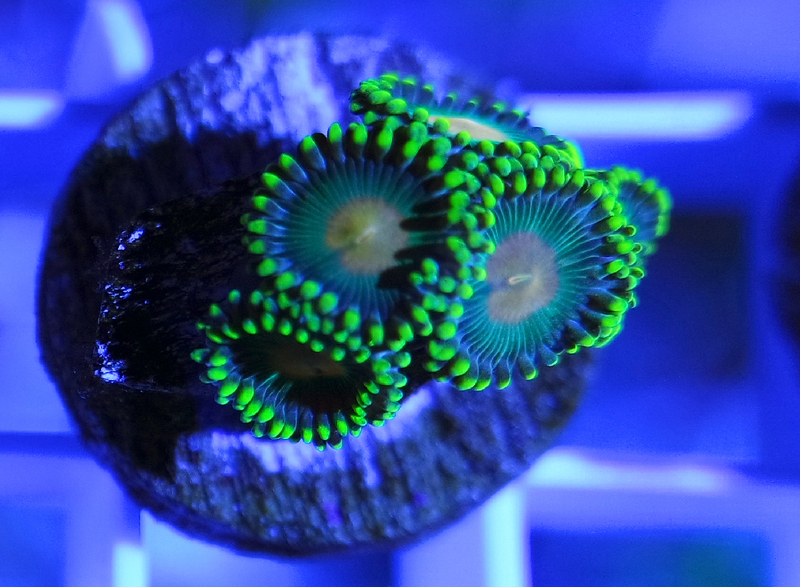 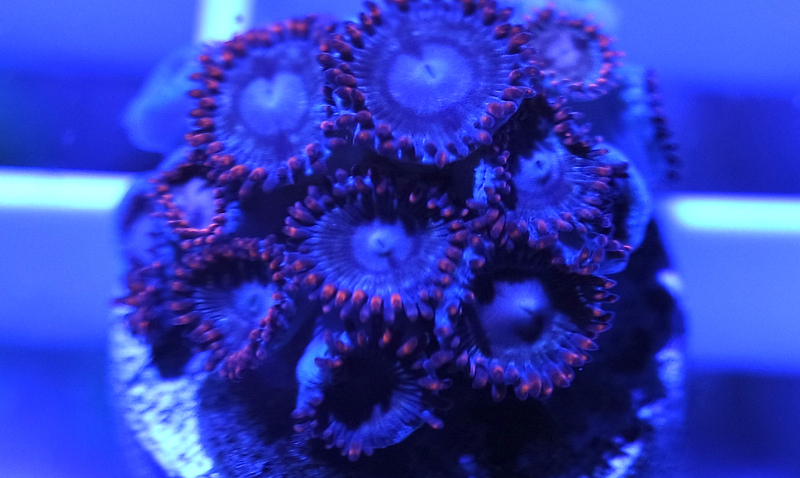 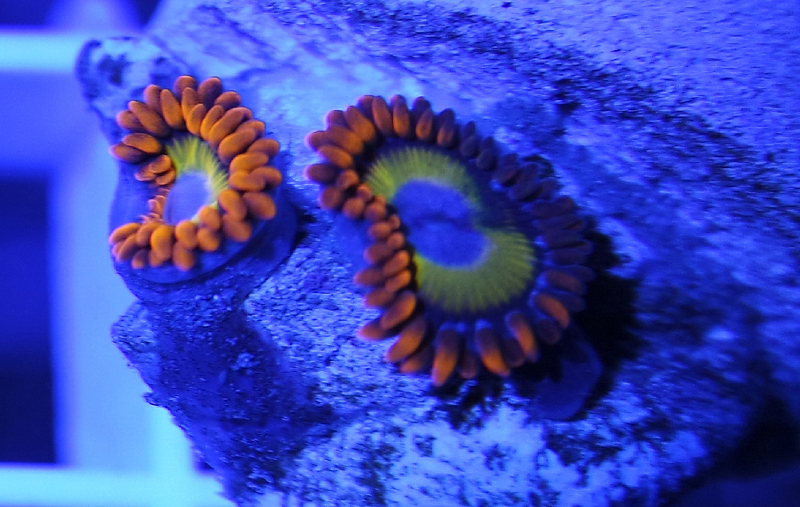 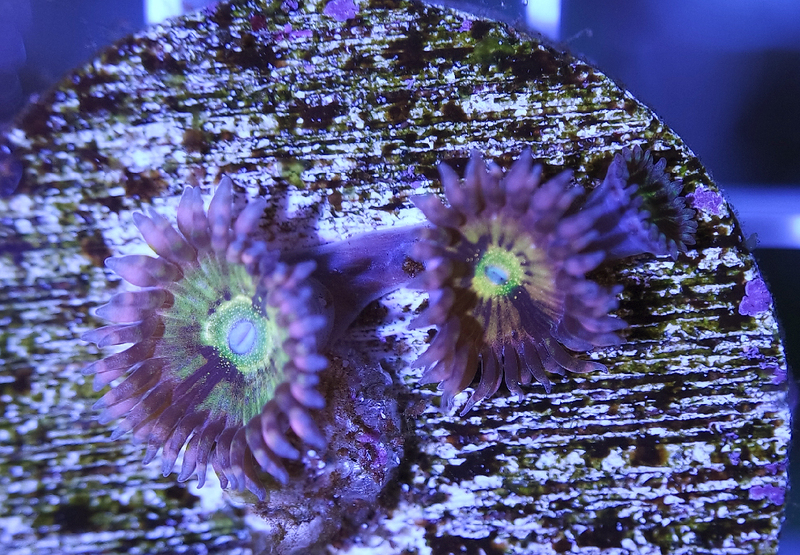 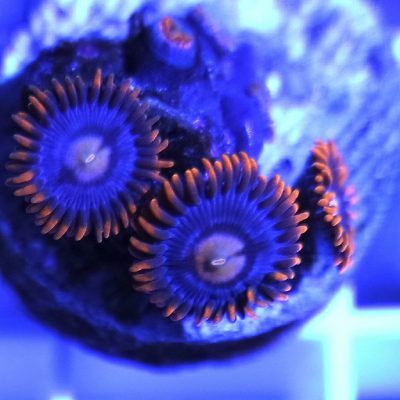 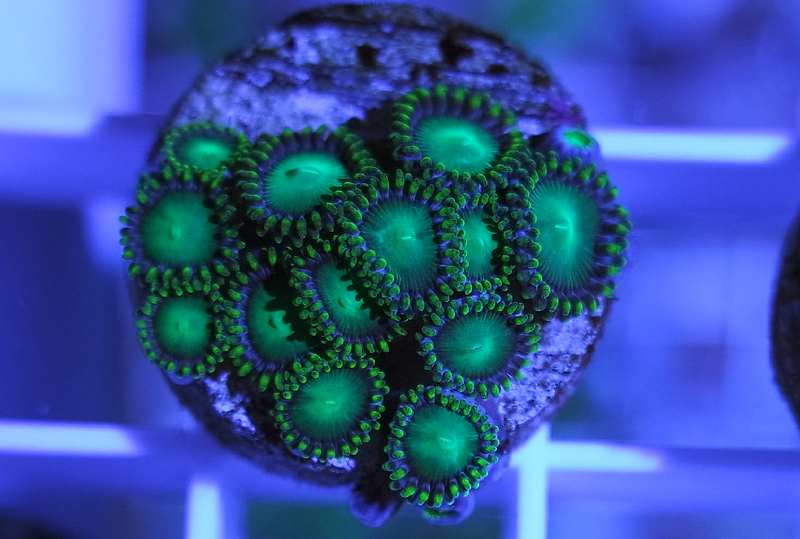 We have some brand new Zoanthids in stock, they make quite the selection at the moment. 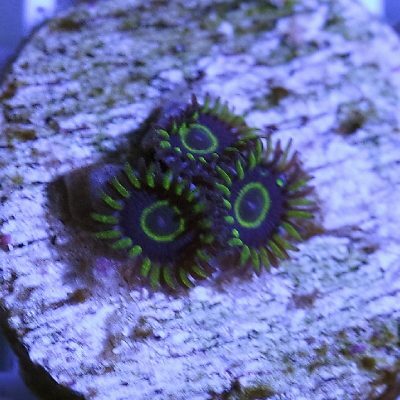 If you are interested please come in to the shop and have a look. 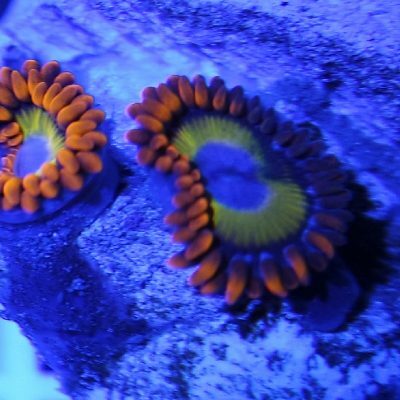 Prices are £10.00 per plug (6 for £50.00). 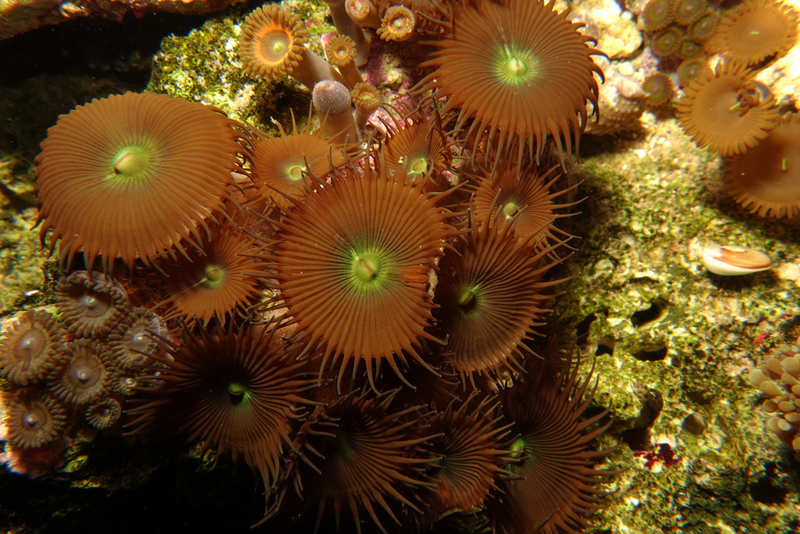 Number of polyp heads vary for 1 to 12. 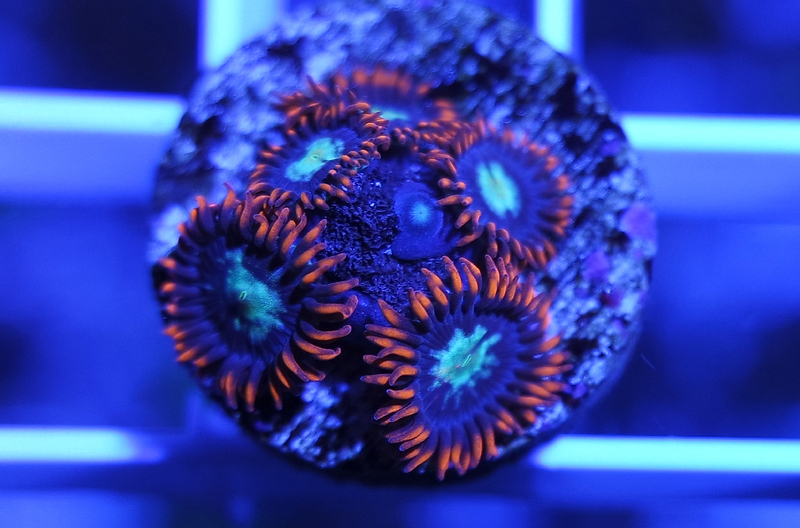 Its a Lucky dip, Same Price for All! 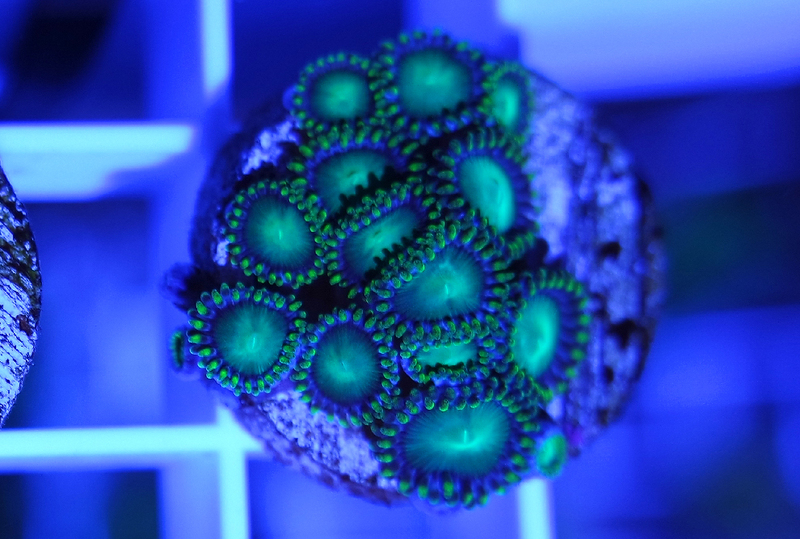 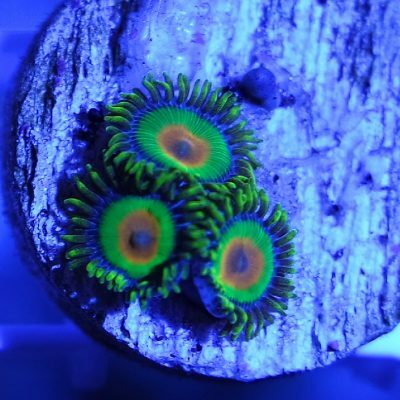 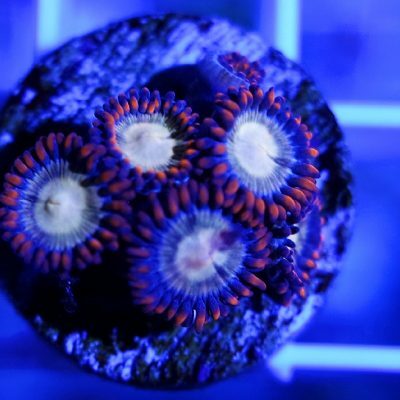 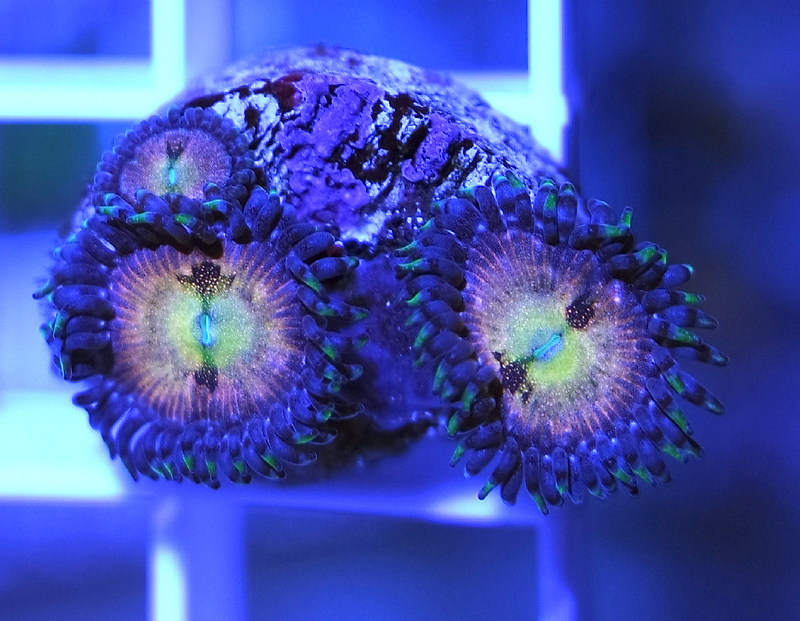 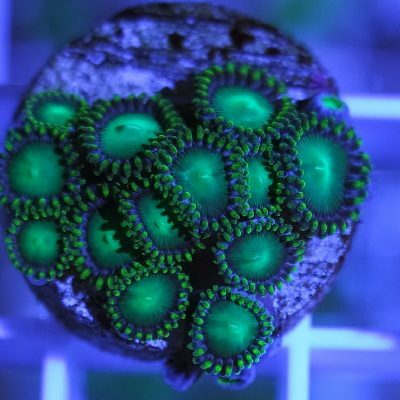 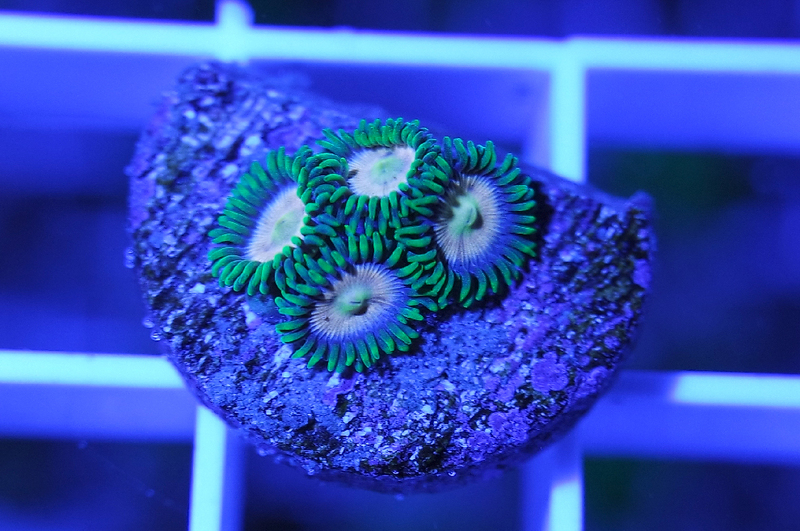 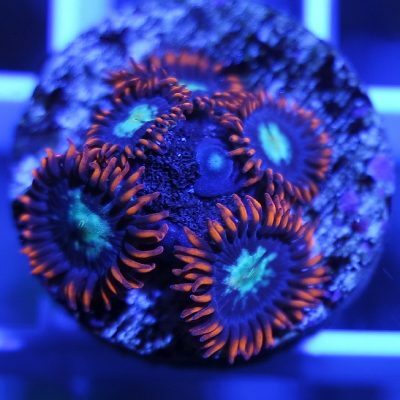 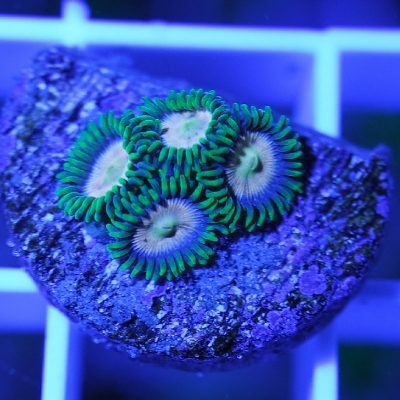 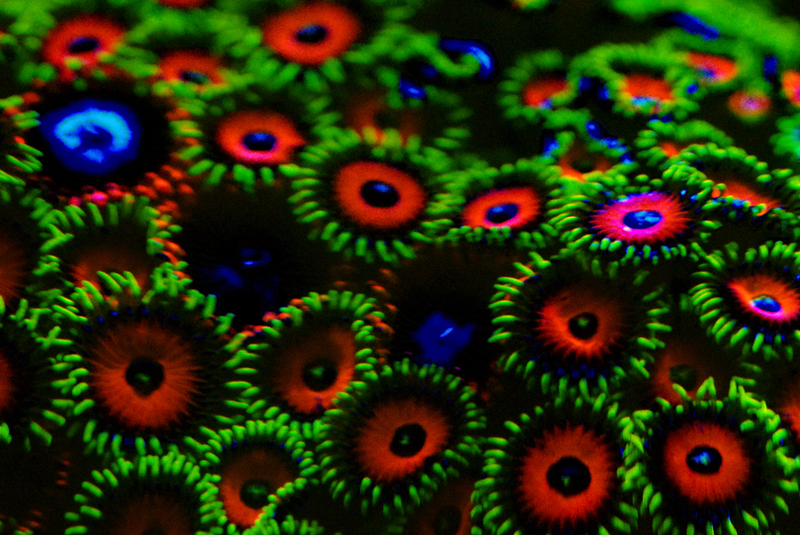 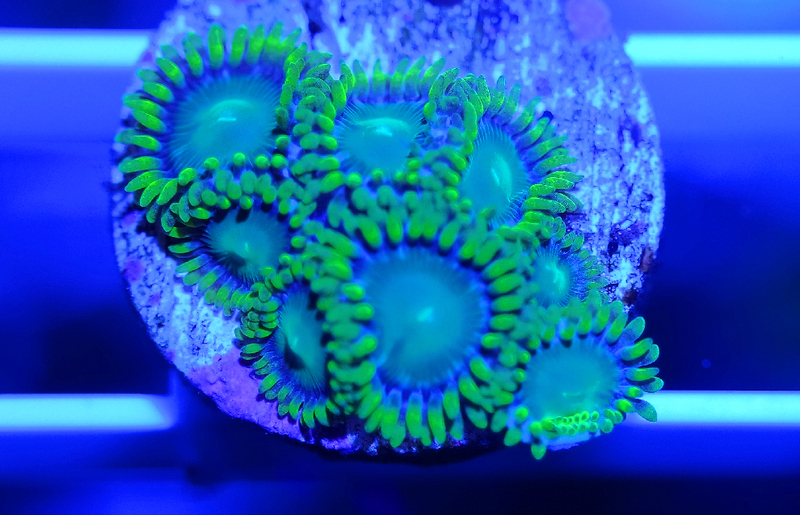 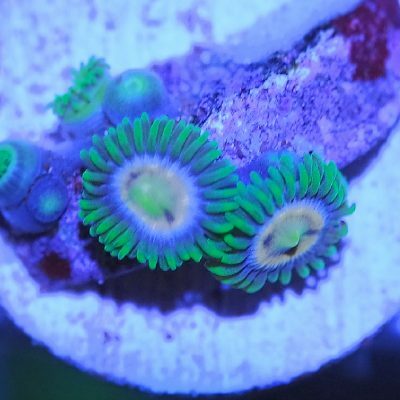 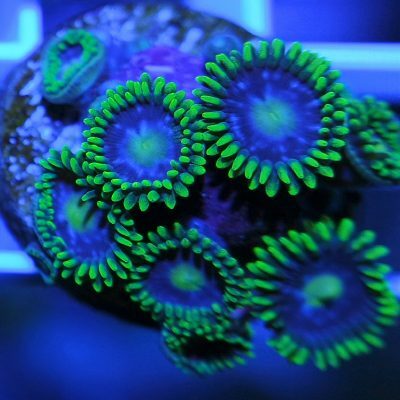 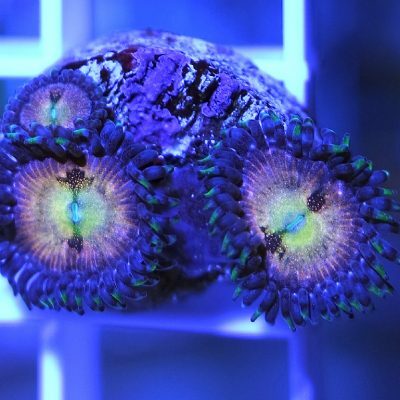 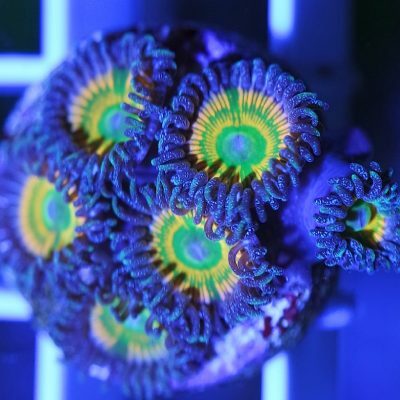 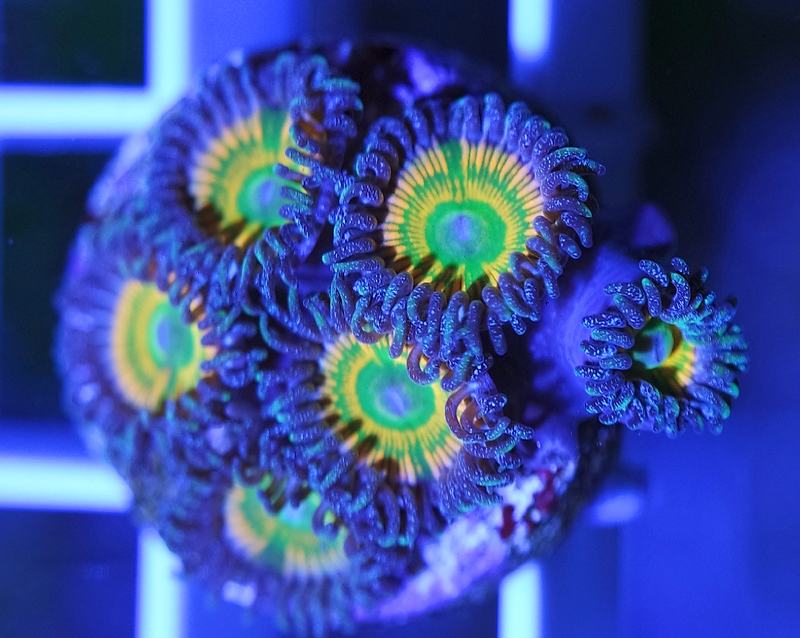 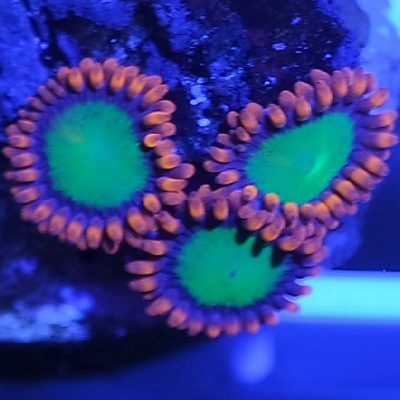 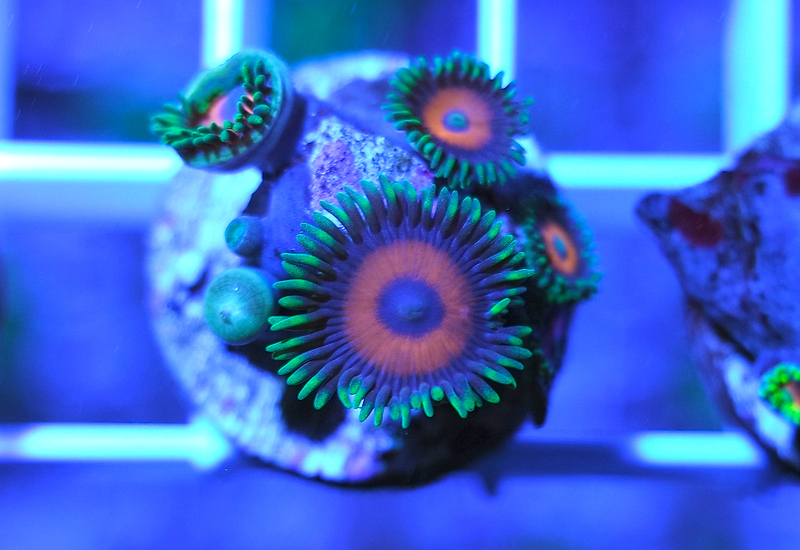 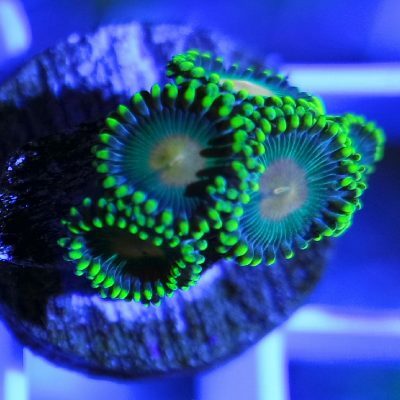 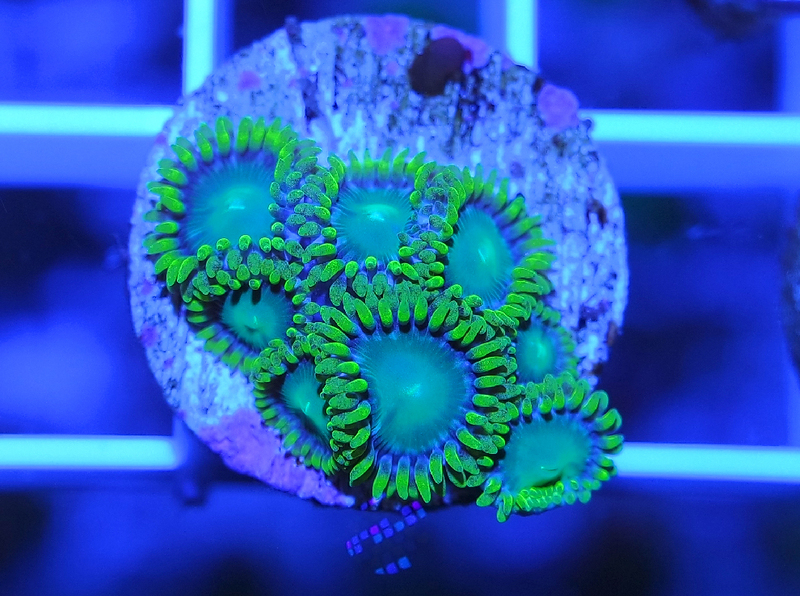 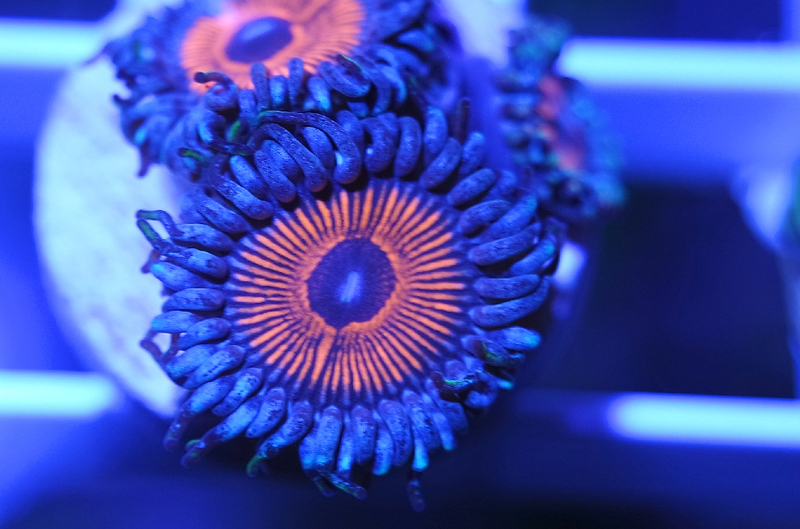 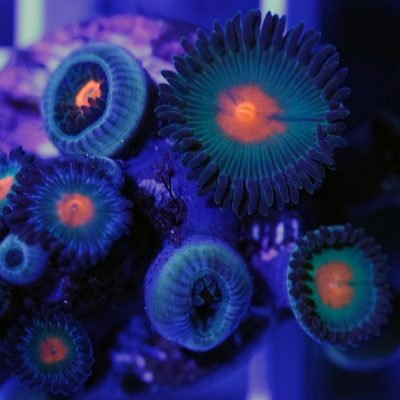 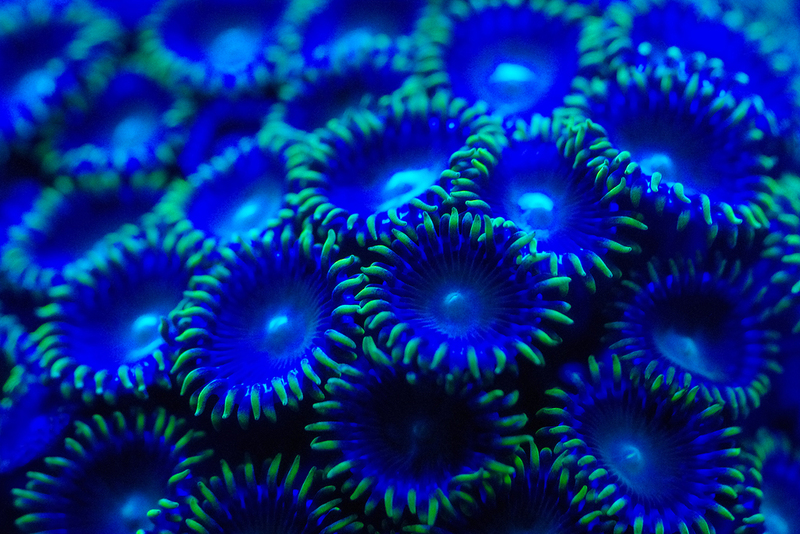 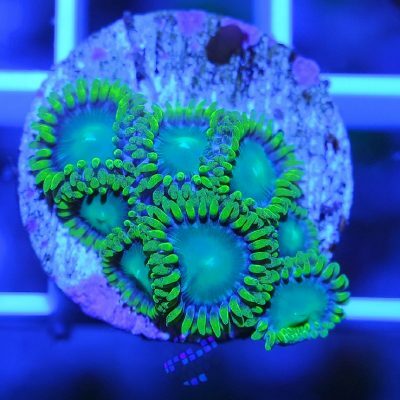 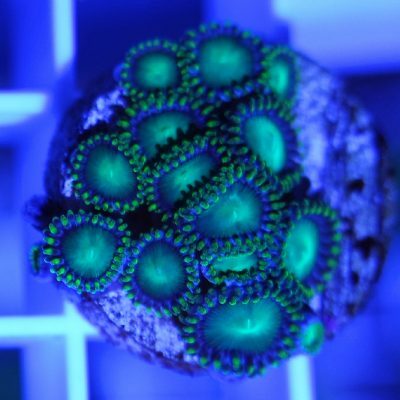 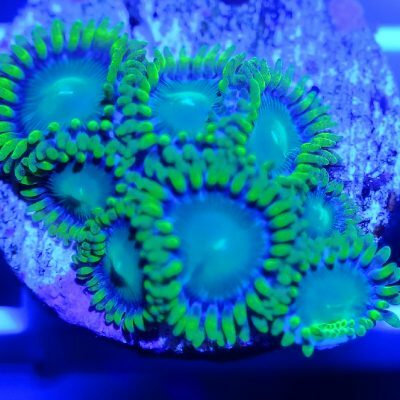 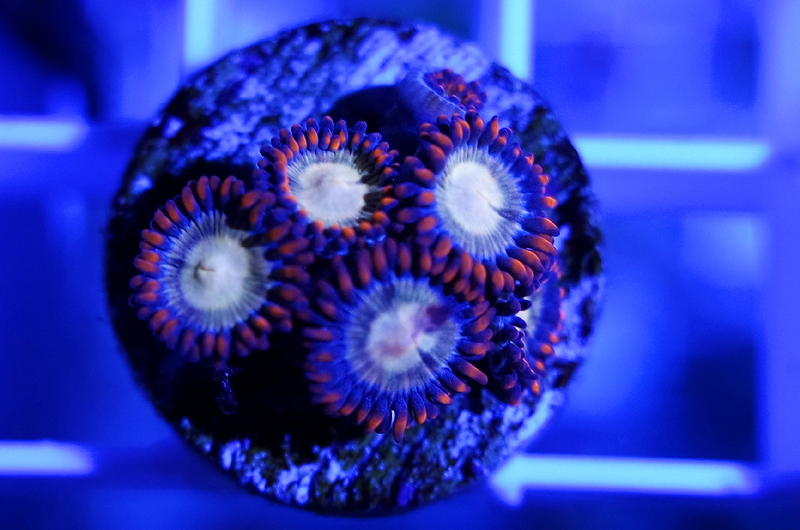 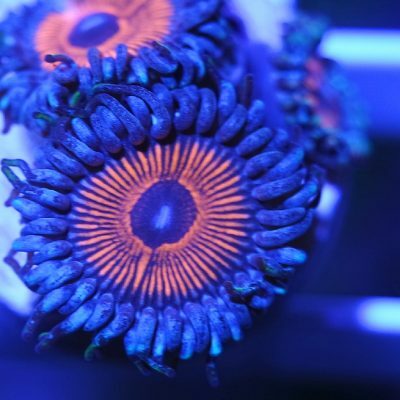 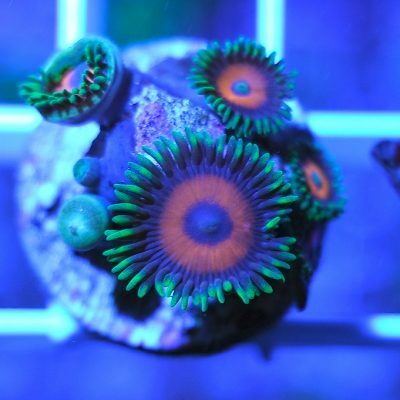 Zoanthids or zoanthus are sometimes referred to as colonial anemones and are one of the easiest corals to care for, very colourful and fast growing, are now a very popular addition to reef and nano aquariums. 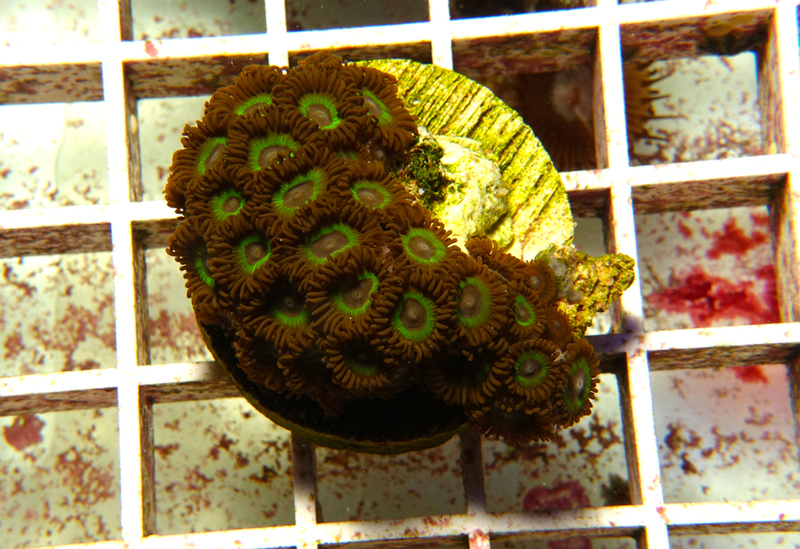 Given the right water conditions, zoanthids can grow quickly to form large low growing mats which may sometimes overgrow other sessile invertebrates. 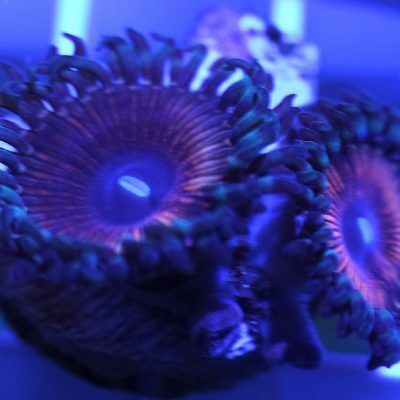 They prefer moderate to strong water flow and are quite light tolerant from medium to strong depending on the species. 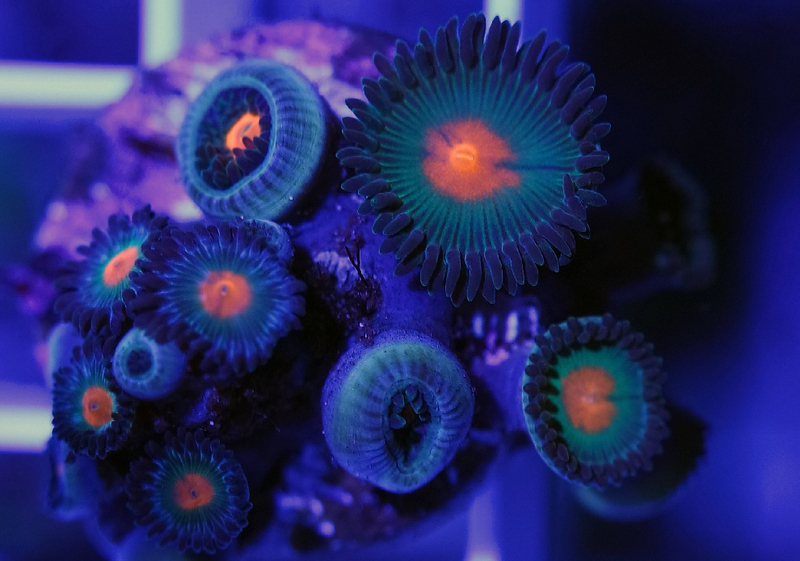 Not all species contain symbiotic zooxanthellae algae and will respond to feedings of planktonic foods and sometimes even larger foods like frozen brine shrimp and mysis shrimp.